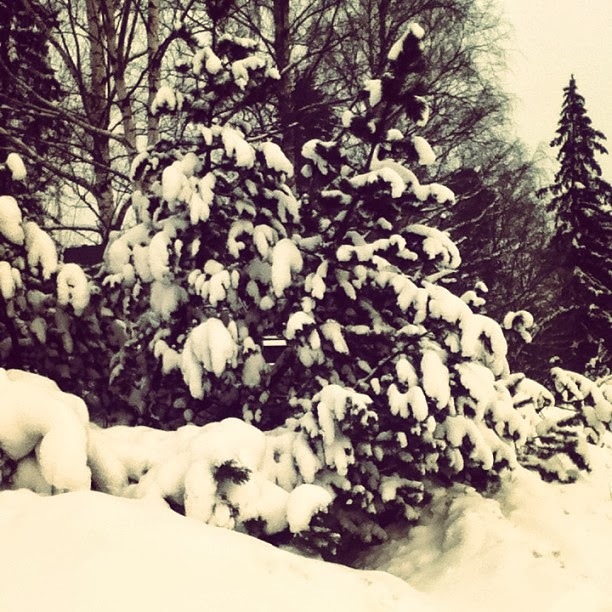 My winter in Finland last year, i’m still dreaming of a white Christmas..
WOW! Who can believe that it is Christmas Eve?! Despite being 21 i still found it difficult to sleep last night because i’m so excited! Who else is the same? I just wanted to write a post to firstly thank all of my lovely followers for reading my blog this year and being truly lovely. But most importantly i want to wish you all the happiest Christmas and to enjoy your time with your family’s! Don’t get me wrong i love presents as much as the next person but this is the only day of the year that you really get to spend the whole day with your family, and of course the food is one of my favourite parts of the day! Whatever you’re doing stay safe and enjoy your day! I thought i would leave you all with some of the decorations in my house, enjoy! You probably guessed this is an artificial tree as its too perfect and we have never actually had a real tree, the shopping for one sounds so exciting though as well as the gorgeous pine scent that they have. One of my favourite Christmas decorations which i think was from Paperchase! Orange and cloves are such a simple thing to do and they smell great! Some of the Christmas animals that my talented mummy knitted! The cinnamon wrapped candles are a really simple DIY which you can find how to do here. Once again i wish you a very merry Christmas, do you still leave a mince pie out for Father Christmas? In our house it is still very much a tradition as well as leaving out our Santa sacks! What do you think of our decorations? What are your favourite Christmas traditions?